When we host a retreat through our Sierra Soul Series of Wellness Events, we do our best to showcase many different modalities designed to inspire and to teach. However, we often get asked the difference between the different types of yoga that we feature at these events. Below are descriptions of just a handful of the many types of yoga that exist. 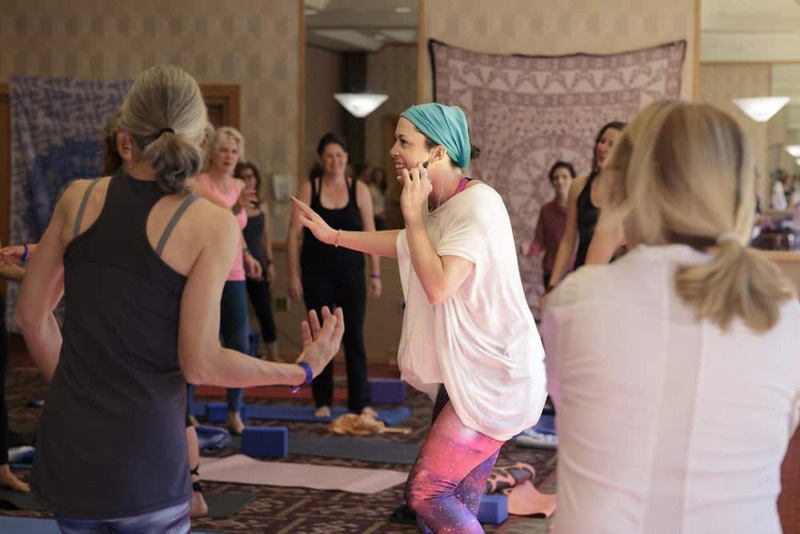 Our expert instructors at the third annual Restorative Arts and Yoga Festival have helped to explain the types of yoga that they will teach at the three-day weekend, May 31-June 2, 2019. Thai Massage is an ancient form of yoga and massage. This modality purportedly has its roots in Buddha’s physician, Shivago Kormapaj and has been practiced for over 2,500 years. Thai Massage combines acupressure and yogic principles to stretch muscles deeply. No oils or lotions are used, and Thai Massage can be considered an assisted yoga practice. Mandalas are most commonly seen as geometric figures in a circular form whose center represents the universe and all designs moving from that center as expansion of the universe. While that all sounds quite abstract and serious, this class is like a color therapy book. Once the design has been laid, the flow of linking breath with movement will color the experience and leave you feeling inspired, calm and centered. Join Meghan for a fun, playful practice that moves through sun and moon salutes that create a living, moving mandala on your mat! Kundalini Yoga, as taught by Yogi Bhajan, is designed to give you a direct experience of your soul. This form of yoga combines mudra (hand gestures), mantra (repeated words or sounds), movement, breathwork. These practices combine to bring balance to the glandular and endocrine system, freeing negativity held within the body. It raises practitioners to a more positive vibration and gives those who practice Kundalini the awareness to step fully into their true self. It empowers those who practice to embody their purpose and passion, and aligns practitioners with their highest potential. Yoga medicine involves creating a life-long practice incorporating postures, breath and meditation. Movement therapy is an intuitive approach to each individual that delivers exactly what the body and nervous system are asking for. Yoga Medicine is a practice of fluidity, connection and inspiration. It pulls us back to our most subtle and truest nature through specific pranayama (breath), meditation and asana (posture). This practice encapsulates foundation and strength while allowing the body to move in its most inherent rhythmic way. Hatha Yoga is a form of yoga that we might consider “traditional” today. It focuses on asana (postures) and pranayama (breath) to engage the muscles and the mind through flowing practice. Hatha translates from Sanskrit to “a union through discipline of force” and provides the means to build strength, promote relaxation, and to focus the mind. Iyengar Yoga focuses on precision. Postures are held for longer periods of time, and props are used. This allows for practitioners of Iyengar to sink more deeply into poses. This also allows practictioners to perform micro-adjustments and generate awareness of the influence of certain postures on the body and the mind. Iyengar Yoga is a form of yoga that was founded by B.K.S. Iyengar, a yogi who is largely credited with helping to popularize yoga in both Western and Eastern hemispheres. Do you want to grow your yoga practice, or learn a new type of yoga? Join us at the third annual Restorative Arts and Yoga Festival for three days of elevated well-being. This entry was posted in gutenberg, Sierra Soul Wellness Connections, Uncategorized. Bookmark the permalink.